..and my Plumber loves LifeSource Water, too! 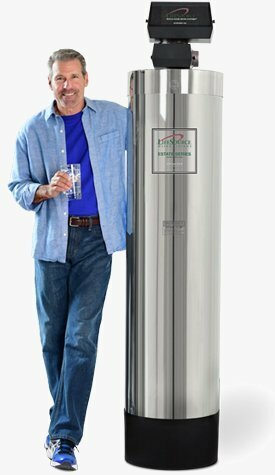 Since we had the LifeSource Water system installed, our water tastes amazing, clean, fresh; shower water feels better on the skin; and no more calcium deposits on tile or glass. Our plumber came to service the tankless water heater and said he no longer has to do maintenance every year because it is so clean. 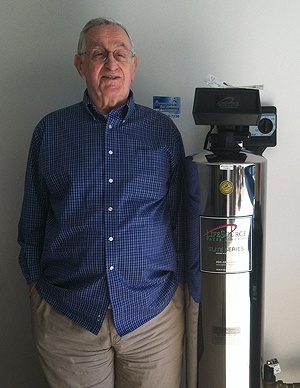 He's going to recommend the LifeSource Water System to all his customers! Do I love my Lifesource? - you better believe it. 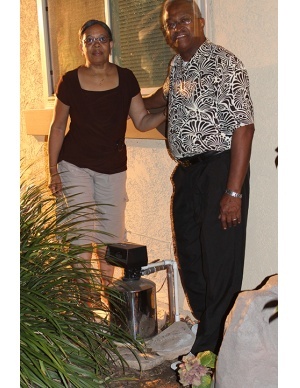 I live in a rural area of Los Angeles County, where my water comes from my well. Although the water is high of quality, it is extremely HARD. 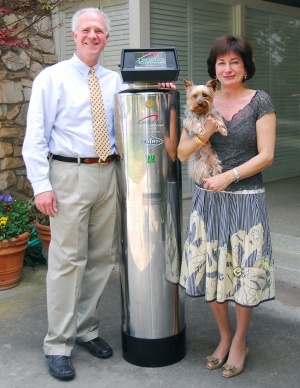 The construction on my home was completed in 2007, at which time my LifeSource was installed. Since I lived on my property during the construction period (with water supplied by my well), I was amazed at the difference the LifeSource made on my water. When I built my home, I chose to install environmentally friendly and energy efficient materials, equipment and products. 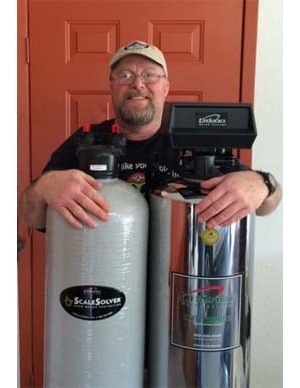 My LifeSource water filtration fits right in with my solar panels, whole-house insulation, ceiling fans, tankless water heater and energy efficient appliances. 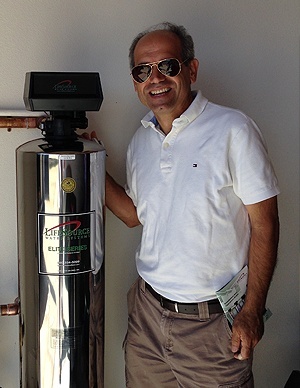 Prior to construction, I saw LifeSource representatives and several units at a local home show, and was impressed not only with the quality of the units, but with the knowledge of the representatives and the printed information provided. Several months later, I happened upon a display of a "knock-off" LifeSource, and spoke with the representative. I will not go into detail of my questions and the replies I got, but only say it enforced my decision to go with LifeSource. When I was having my Lifesource unit installed, a nosey neighbor came by and laughed at me for paying so much money for such a thing. 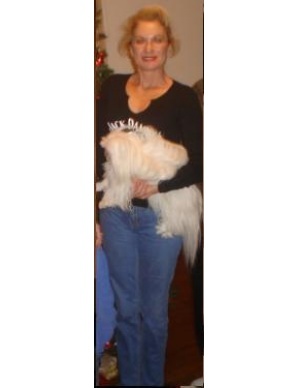 Well, I get to laugh at her every week when the Sparkletts truck stops at her house to drop off several 5-gallon bottles of water, and the fact that she purchases CLR cleaner by the super industrial size. So, Do I love my Lifesource? - you better believe it. 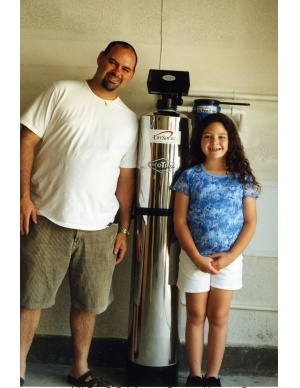 We used to have a reverse osmosis system in our old home in Grand Rapids, Michigan. 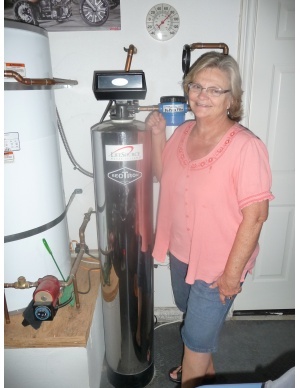 When we moved to Fresno we wanted something better as well as something to help with the hard water. After some research we chose LifeSource. 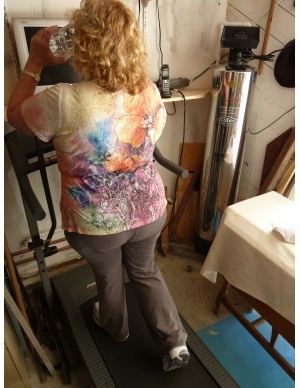 the LifeSource system is really amazing. 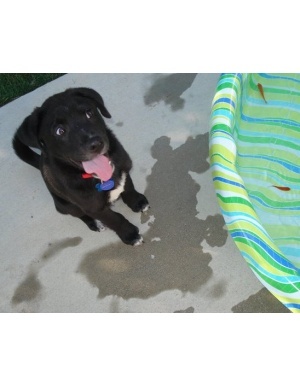 Water spots wipe away, the toilets no long stain and the water is is much better than bottled water. We hope other people try it and enjoy the water as much as we do. Thanks Lifesource. This lifesource system is very good. The water is very good for drinking and tea. I bought first system in 1994, we moved and bought a new one. Our plumber from lifesource, Tommie did a very good job. Thank you very much for good service. We tell all our friends about lifesource. 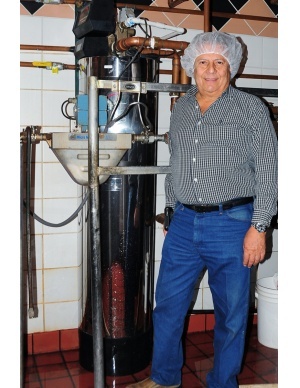 We have been using a Lifesource system at our bakery for over 20 years. We are very pleased with the quality and service we've been getting over the years. We use the LifeSource system in our grain sprouting and as an ingredient in our products. Because the system remove chlorine and other impurities, our yield is better and our products taste better. Our customers are delighted with the results. Because of our success, we recently added LifeSource systems to our newest bakery in South Carolina. Thank you Lifesource. 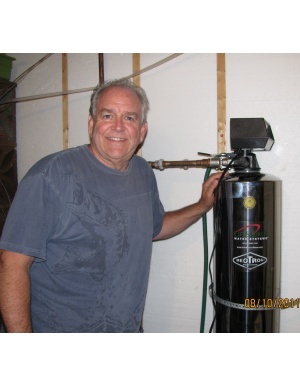 I am immensely pleased with the LifeSource water system that you installed in my home since 2000. The feelings we get while we use the water in our home are something that you have to experience in order to appreciate it. Is very smooth and gentle compared with my old softener system that made it slippery. Great support and willingness to help from Roxanne Bell (my local representative), fantastic customer support from the factory. Actually I am so satisfied with my unit that I convinced 5 neighbors on my street to own one. Keep up the great work! We are very pleased with the quality of the water. 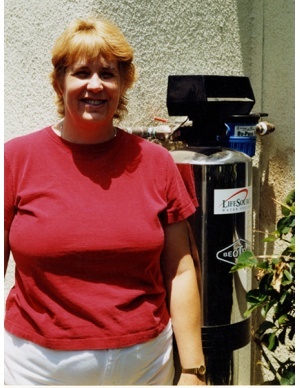 In 2002 My husband and I had a LifeSource Water System installed in our home. 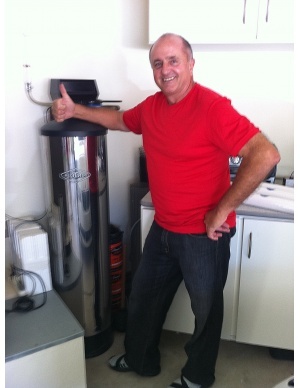 This unit replaced our Aqua 2000 salt softener/reserve osmosis system that we have had for nearly six years. We had become very discouraged with the frequent salt maintenance and the high cost of the yearly filter change required for the system. The final straw was when the system failed and the repair would be over $550! We decided to weigh our options and look elsewhere for quality water. We found the answer for our water needs in the LifeSource Water System. We are very pleased with the quality of the water. The water tastes very good and we are happy with the "feel" of the water. The low maintenance is great! (I am very glad not to have to lug those heavy bags of salt anymore!) We are especially pleased to get rid of the yearly $100+ cost to change the filters in the Aqua 2000. Another deciding factor in our purchase was how environmentally friendly the LifeSource Water System is. We have been concerned with the effects on our local environment from the salt brine backwash from the Aqua 2000 system. Our city has been looking into banning salt softener systems because of the burden it places on the water purification system. We decided to stay ahead of the game and replace our salt softener system now. We are also very happy with the installation of the unit. The installer did a wonderful job! I just got my system about 3 months ago and I like it a lot. Before getting my new system installed I had an H20 system which only gave me clean water out of one faucet in my house. 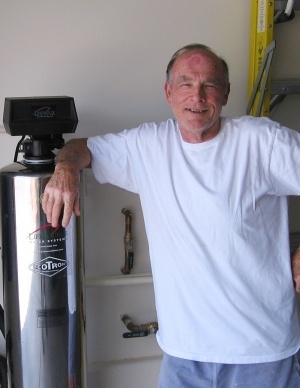 With my whole house water filter I can now get clean water from all of the faucets in my home. I also noticed that my skin is no longer itchy because the water in my shower is also filtered through my system. Not too long after having our system installed I had someone from LifeSource come out to our home to give us another rundown of the system. I wasn't sure if there was something we needed to do to maintain our new filter. I had a R.O. system in the past and that required constant maintenance however I was pleasantly surprised to find out that this is really a set it and forget it system. It has been a long time coming but now we have Life Source and is wonderful. We get the best quality of water with no maintenance. Representative Jonathan Pickering, was great! in explaining the Life Source System and left nothing out and no surprises. Thanks again Jonathan and Life source! I love my lifesource water. I was angry with a salt softener exchange company and so I decided to go with lifesource after the price just kept going up and the service got worse. I hated the slick slimy water and I'm now loving my new lifesource system. My hair and skin are rejuvenated..I love to take a long showers and I always come out feeling fresh and clean. Highly recommended. We love this product! 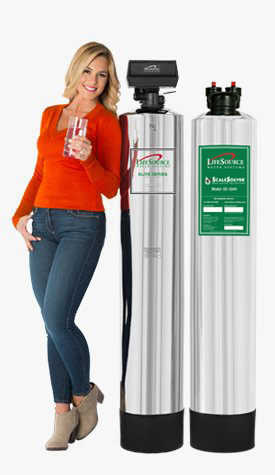 The LifeSource Water System removes a lot of the hard water spots that you used to have to clean with contaminants. When we are showering or washing clothes we cant even tell its hard water. We drink the water from our faucet, too, and it tastes great. We stopped buying bottled water and we just refill our bottles and drink water from the tap. 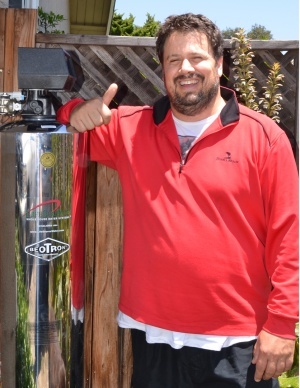 I knew that LifeSource water systems are better for the environment. But I was amazed at how much softer our new water system made my skin and hair. The laundry was noticeably softer too, and best of all, our water really tasted great. convenient or pure, but that's just not the case. One cool spring day I went to look for my water delivery on my front step. couldn't believe what I was seeing. One bottle was nice and clear, but the other bottle right next to it was emerald green! I thought, what kind of bottles are they using!! What I really didn't know was that it was green with algae. Of course, I called them to tell them. Guess what I was told? Your water was delivered in fine condition and you must have left it out on the porch for several days. Really? That's when I got channel 10 in San Diego to step in. They contacted Arrowhead Water and even did their own analysis of the water. Sure enough it was algae. Why did the driver leave me a green bottle? I felt like the company was trying to make it my fault and blamed me for why the water was green, while the other bottle was just fine as you can see in the picture. Even though they eventually offered to replace the water, what I knew was enough. 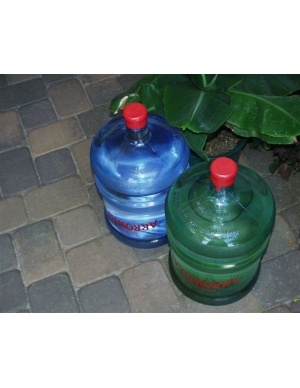 Bad or dangerous water can get delivered to your doorstep because of carelessness. I was tired of arguing with them and tired of lifting heavy bottles. I also had learned of the inherent dangers plastic leaching contaminants into bottled water and of showering year after year in chlorinated water, while in my college classes. Enter, LifeSource! No more worrying about the lazy driver who doesn't really care what condition my water is in when he drops it off. No more showering in chlorinated water. No more lifting heavy bottles water each and every time I want to place another in the dispenser. Now I still keep the lid down on the toilet, but if your doggie happens to drink "from the magic well", from time to time, well, even that is bottle quality water! My whole house filter means that I don't have to think about it. My water is clean and pure everyday. No lifting. No concerns. And, when I moved, I just took the system with me to my next house! I wasn't about to be without my whole-house LifeSource water system. Bye-bye bottled water. R.I.P. 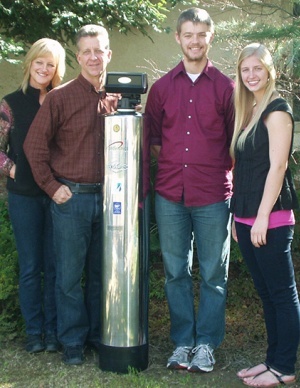 Having the Lifesource water system for two weeks now, my family of four is really happy. My 16 year old daughter says the water tastes "crisp". As high country backpackers, we all agree this water really tastes like high country water. My wife says her hair feels better and she uses less soap. Our neighborhood tap water smelled and tasted strong of chlorine. No more. 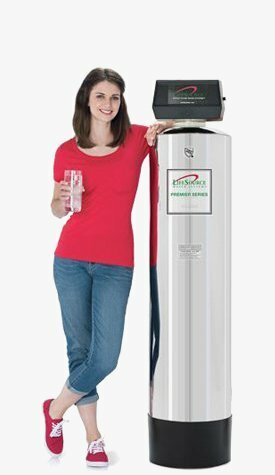 We are spoiled now on any other water, and we have used bottled, under sink and countertop water filters for years, now we have just one great filter. buying bags of salt. Our community has sulfur smell rotten egg like smell in water. Now we are very happy smell is gone from water. We love our LifeSource our water -we can now drink without a bad taste. During the recent flood here in Minot, North Dakota that made national news, we were under a boil water order for several weeks. To ensure the water filter was not contaminated was a simple task of turning the main valve off at the filter that allowed the water to flow past the filter. Once the boil water order was lifted, I simply reopened the filter valve and I could be assured that the water we were drinking from our taps in the house was clear of all additives that were introduced to clean the water mains in town. We had the cleanest water in town short of buying bottled water and bottled water even has additives that our filter takes out. I even took bottled water from home to be used at work for everyone since our work stayed under the boil water order for a couple of weeks longer than our home. Since we started using the filter, all of the mineral deposits on our faucets and sinks have cleared up and I'm sure our hot water heater will last much longer than past heaters. There are so many mineral deposits in our city water that I went through two hot water heaters in 15 years due to deposits in the tank. 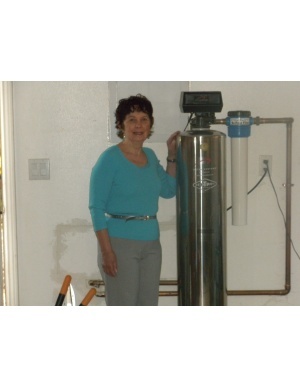 I am looking forward to many years of whole house clean water with my Water Filter water system. When my wife and I moved into our new home in the City of Montebello, we immediatley noticed how "harsh" the water was. A friend of ours refered us to LifeSource and we got a unit installed. We instantly noticed the difference of not only how the water taste but how it felt after a shower. It has been a few years now since we have had the unit and still remain satisfied. 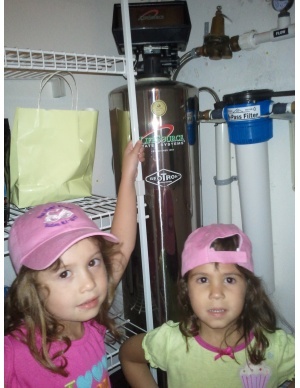 Except for changing out a filter, which is extremely easy to do, the system has been maintanence free. We would recommend this unit to anyone. 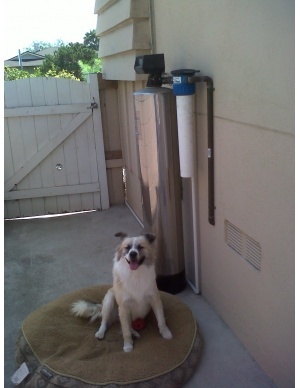 Attached is a picture of our dog Max enjoying a relaxing day next to his water filter system. I have put on a recovery system for the backflush. I get 10 days a month free toilet flushing and outside water. Has reduced my water bill by $10.00 a month. Relocating from Massachusetts to Florida, the most unexpected difference was the quality of water. When I first opened the plumbing fixtures you could immediately smell the contaminants within the water permeating from anything with water. 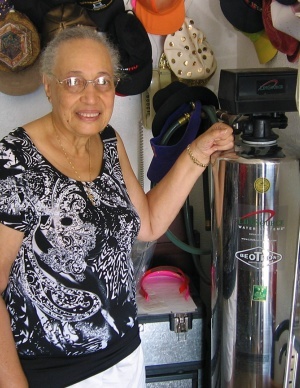 I knew that selecting the right water filter for my family was a critical investment and implementation for my families health. 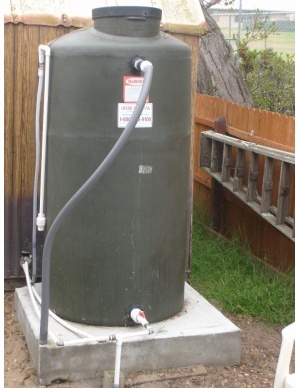 I have owned a whole house LifeSource Water System for six years now and all I do is change the pre-filter as needed and the tank has been backwashing itself without any issues or maintenance ever since its installation. Outside of the obvious fresh clean water to drink each day, the I Love consistency of the water where soap lathers better, being cleaner with less water! This also applies to my dish and laundry equipment where it has defiantly allowed me some savings with water/ sewer cost as they are steadily increasing and I have a family of five. 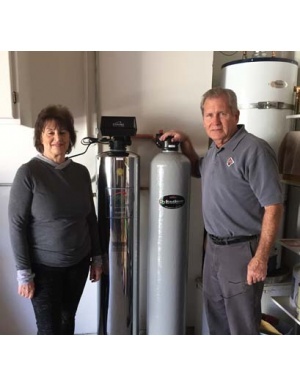 I greatly value and appreciate the LifeSource Water System as I have personally compared water filtration systems with neighbors and I have trumped their alternative systems in water quality, taste, consistency, system maintenance and overall cost. 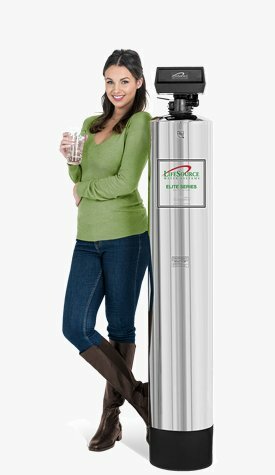 LifeSource Water System is in my opinion, the finest product on the market, reasonable initial expense and offers the best water quality for my family. LifeSource has come to our rescue. Our Water system where we live has been tested for perchlorate and there has been little done to treat it although we have been assurd that there is no problem the levels are safe. What we know is that plants that we bought were dying using the water that was safe but since putting our LifeSource system in the plants now live and so do we. If it was killing our plants it must not have been good for us either. We feel better after bathing and washing our hair and not to mention the water taste better. Our white clothes are starting to turn white again. We cansee the improvement each time we wash. Sometimes we buy products and spend our hard earned cash and hope that they work, We know our LifeSource system works. The only thing we wish is that we had heard about it and installed it sooner. 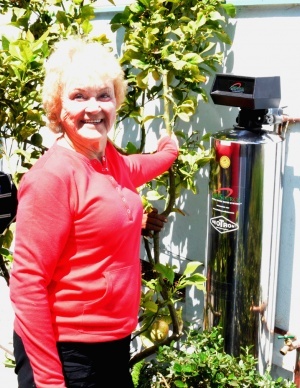 We love our LifeSource Water System! We're on to our second LifeSource system in our second home. Even when we moved we wouldn't budge from the level of quality we've come to expect from LifeSource. Once you're part of the LifeSource club you'll never want to leave or settle for anything less. 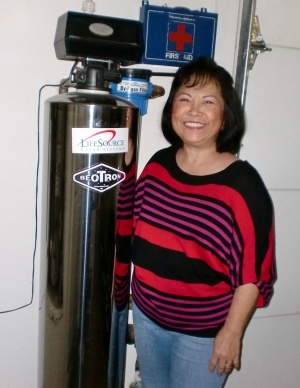 We have been a user of LifeSource Water System for 20 years now and have noticed differences in our hair being silky and our skin feeling smooth. We have recommended LifeSource Water to a lot of our friends and family, and they have enjoyed the greatness of the water it has provided. During parties, our visitors would complement our water comparing its taste to brand named bottled water. 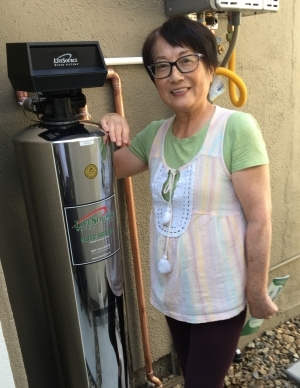 Even when we moved to our new house, we choose to stay with Life Source Water System because of its excellent quality and care. I bought this Lifesource system in 2007. 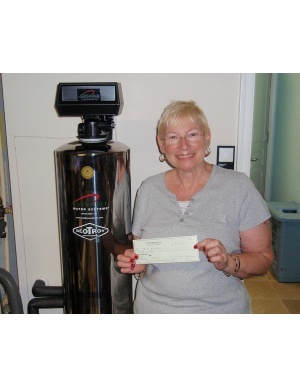 I wanted absolutely no maintenance and certainly not the maintenance like I had with salt water softener system. Extremely happy with my system! I make all my own organic food and I have some farms up north growing organic crops. I'm very big on saving the planet and now with Lifesource, I'm extremely happy to be bathing in good water and that I never have to buy a plastic water bottle again! I like the quality of the water- and no maintenance. Our family is doing our best to live a green lifestyle. We own a Chevy Volt and we recycle as much as we can. 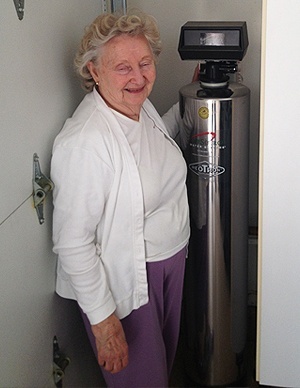 One of the most important things which was the installation of a Lifesource system. 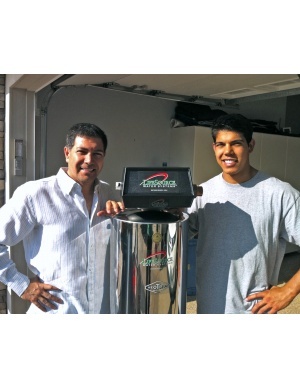 We did our research for some time and came up with the best system on the market. I've seen Lifesource at the fair over the years and decided after talking with Cynthia from Cafe Nefola to go ahead and make the purchase. I'm glad I did, very good water, nice service too!